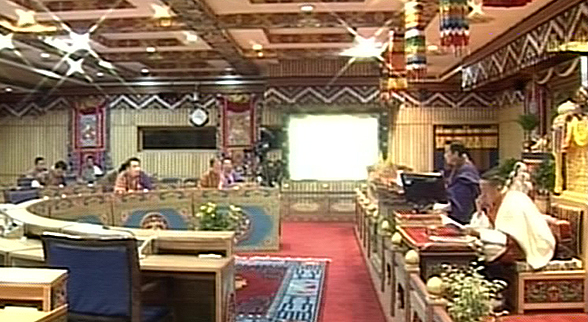 The National Council, through a majority vote, adopted the Information, Communications and Media Bill of Bhutan 2017 today. The bill, which seeks to repeal the Bhutan Information, Communications and Media Act 2006, is expected to realign the responsibilities of the Ministry of Information and Communications (MoIC), the Bhutan InfoComm and Media Authority (BICMA) and other related bodies. The bill states a National Film Commission and Media Council, an independent body aimed at promoting and protecting freedom and independence of the media would be established. A BICMA Board would be also established, according to the bill. The Good Governance Committee (GGC) of the National Council reviewed the bill. The committee said the establishment of a National Film Commission, Media Council and BICMA Board are important for promoting a vibrant growth in the ICT and media sectors. The Chairperson of the GGC, MP Tharchen said the bill clearly states the composition of the board members of the film commission, Media Council and BICMA Board. “We have also categorized their separate functions,” he said. The establishment cost of the National Film Commission comes to Nu 6.3 m. As for the Media Council, it will cost Nu 2.6 m. The GGC Chairperson said these institutions will monitor, regulate and provide necessary support to film fraternity and the media sector. “Now, with the establishment of separate Media Council and National Film Commission, we feel that both the film sector and media sector will get adequate attention,” said MP Tharchen.